Scott Bader, Inc. is exhibiting at Composites 2013, organized by the ACMA, which runs from January 29-31 at the Orange County Convention Center, in Orlando, Florida. 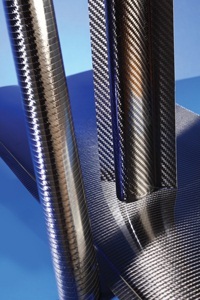 On the first day of the exhibition, a technical paper titled ‘Advances in Urethane Acrylate Resin Technology for High Performance Carbon Fiber Composites’ will be presented at 3pm by Neil Gray, Global Business Manager, Crestapol Resins for Scott Bader’s Adhesives & Advanced Composites Business. At the Scott Bader booth (No. 1061) they will be featuring high performance resins, bonding pastes and structural adhesive products including: Crestapol® molding and pultrusion resins, manufactured in the UK and supplied globally, which can be heavily ATH filled to meet fire rated building, rail and land transportation applications; their Crestabond® 10:1 and 1:1 ranges of primer-less methacrylate structural adhesives suitable for bonding not only composites, but metals and plastic substrates with minimal surface preparation; plus their long established range of Lloyds, DNV and RINA approved Crestomer® urethane acrylate structural adhesives and complimentary range of ortho and isophthalic general purpose and urethane acrylate based high performance Crystic® bonding pastes, used for less demanding adhesion applications and as an alternative to a vinyl ester bonding paste. Representatives from Scott Bader will be available throughout the show to answer technical questions about these high performance products and the full range of Crystic products available. The Crestabond range offers manufacturers bonding performance, gap filling and fixture time options to suit both application and shop floor needs; working times can be as short as only 4 minutes to over 80 minutes. Crestabond structural adhesives are aimed at manufacturers in the bus, truck, rail, construction, marine and wind energy markets looking for high bonding performance alongside opportunities for cost savings from improved productivity, which can be gained from using a fast curing structural adhesive in an assembly process. All Crestapol resins are based on urethane acrylate technology, from which glass fiber and carbon fiber reinforced composite parts with exceptional fire, smoke and toxicity resistant (FST) properties can be conventionally fabricated; Crestapol resins can be filled with up to 200phr of ATH which enables laminates to be produced which meet many of the most demanding FST standards for building and construction, passenger rail and road mass transportation applications. The inherent toughness of a fully cured urethane acrylate based resin matrix provides high mechanical properties, even with very high mineral filler loadings. There are Crestapol resin grades for both open and closed molding, as well as pultrusion grades which cure very rapidly, so enabling faster haul-off speeds to be used compared with typical pultrusion grade thermosetting resins. Crestapol 1214 is a specialist grade for pultruding profiles which must have very low shrink and a high quality surface finish. Crestapol 1250LV resin is designed for producing by either closed molding or pultrusion, higher performance lightweight carbon fiber components.